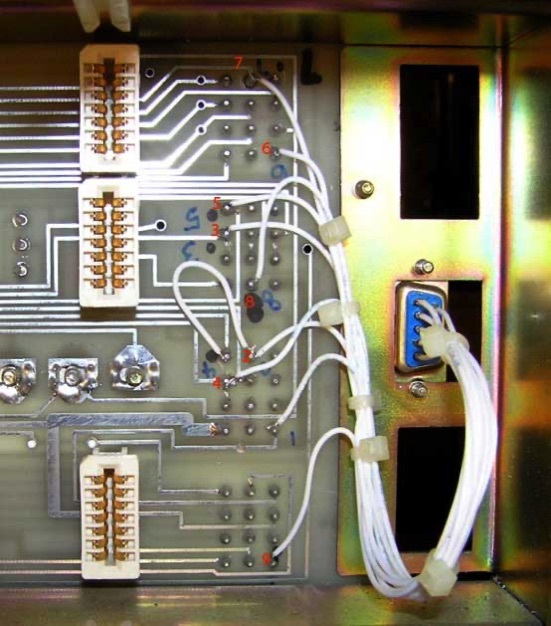 The following is a close up of the modifications made to the GE Master was made by W4UWH. The numbers on the Back panel are the DB 9 numbers on the right, and I do not use Pins 1 or 2. 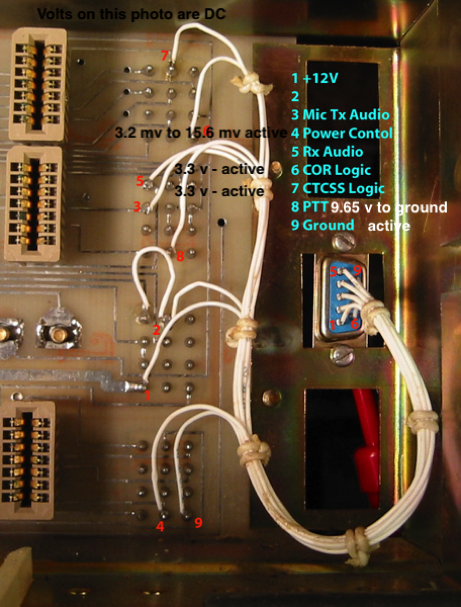 I sometimes use pin 4 for power control, it requires the addition of a reed relay and pot. 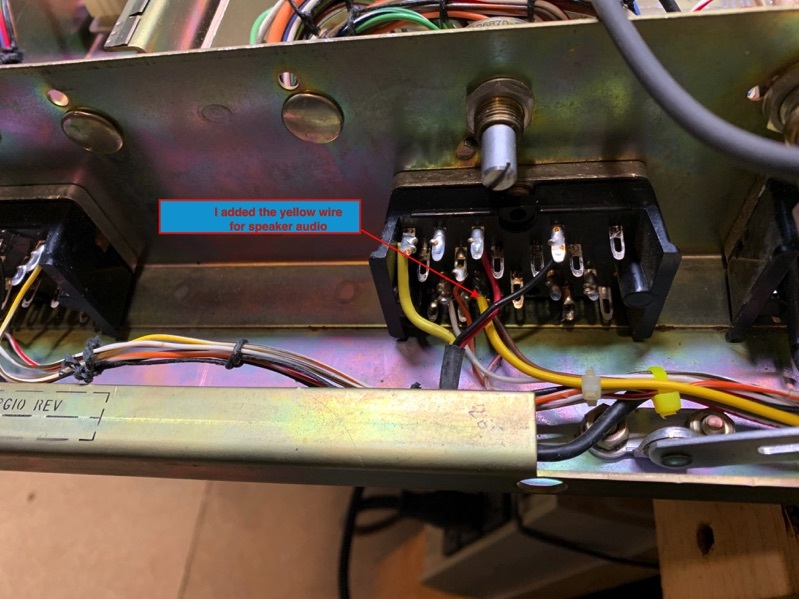 I use the Computer Automated Technology (CAT) Output 1 to close the relay to switch between two power settings. 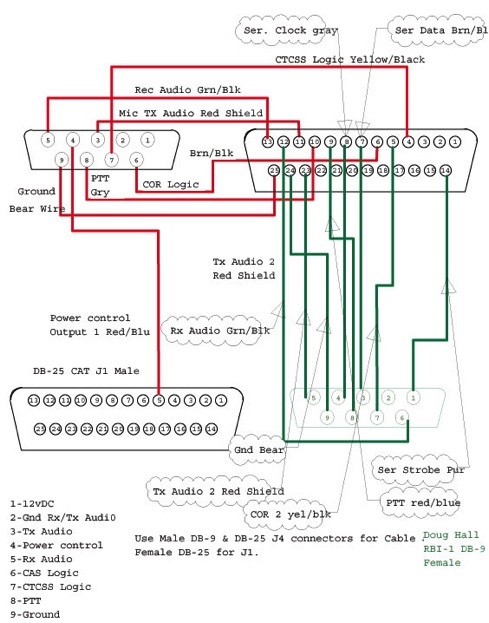 The following diagram show the connection of a CAT 1000 to the repeater and Doug Hall's RBI-1 Remote Base Interface. The voltages shown above are for the 224.98 #1 on bench. 1. 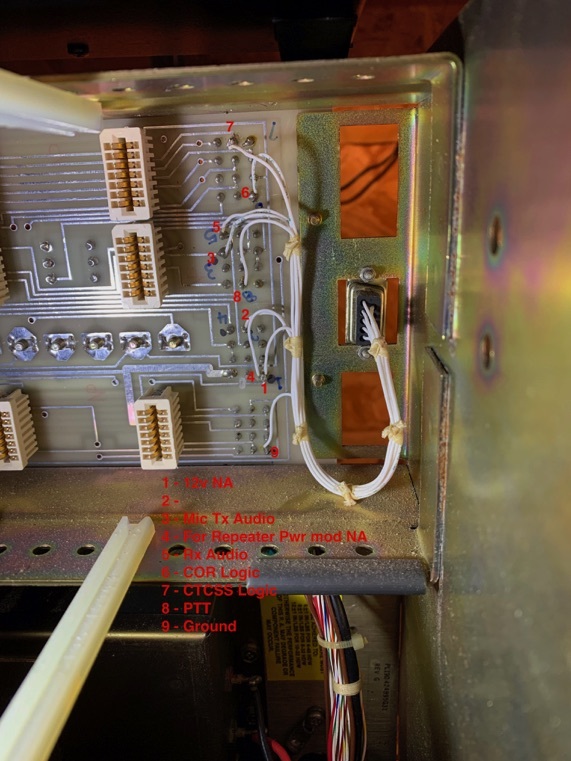 Connect RMS AC meter to Test Point 8 and ground to housing of DB 25. The corners are inslulated.